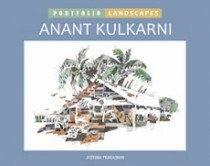 Anant Kulkarni is a famous Illustrator and designer known for his unique style. 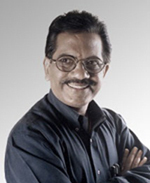 Born in the ever-bustling city of Mumbai, he first got interested in art sometime around secondary school. With lot of discussions, demonstrations and persistent practice of drawing every day, it was no wonder he later got addicted to art. He is a Professor at J. J. Institute of Applied Arts, Mumbai. As an artist he feels that it is one's responsibility to reach to the audience through art, whether to convey an idea or a message. There are a lot of ways to do it, be it through communication art or performing art, just make sure one’s piece is creative and challenging.